Alina Atayan’s line on the stat sheet doesn’t jump off the page. 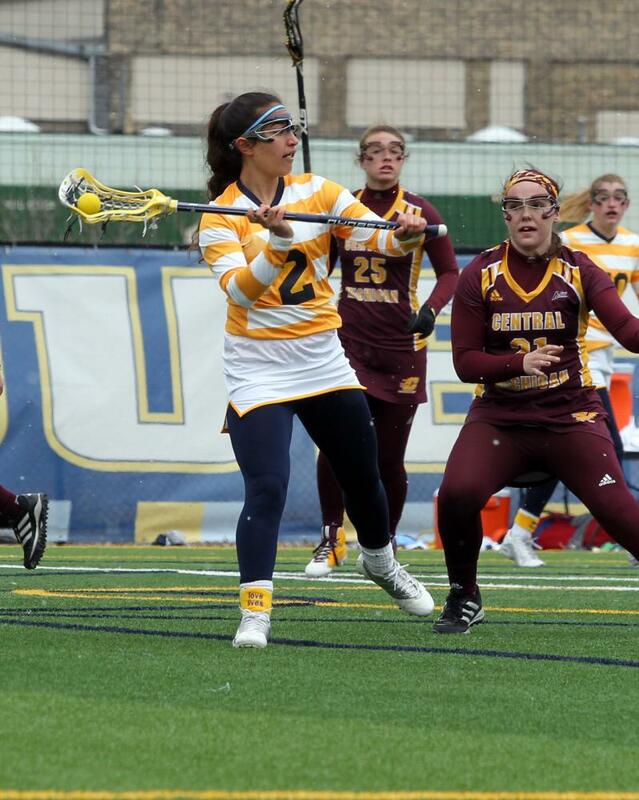 In her four years of eligibility with the Marquette women’s lacrosse team, she shot the ball twice, picked up three ground balls and dished one assist. Any discussion of Atayan’s impact, both at and beyond Marquette, has to start with the collection of box scores buried deep in the drawer. There’s nothing on any recap that shows how much of a difference she made by running domestic violence workshops. There’s no “Teammates Helped Per 40 Minutes” column to reflect how many times she stayed after practice to work with someone. And while it’s possible to measure how much money Atayan helped raise for pancreatic cancer research at Marquette, she never concerned herself with the exact figure. Those close to Atayan describe her as the kind of person everybody wants on their team, and even more people want in their community. “(Alina) had a passion for everything and that passion was contagious. It was easy for us to want to support her,” assistant coach Caitlin Fifield said about her former player. Long before Atayan fought for others, she learned how to fight for herself as a practitioner of both karate and jiu jitsu. She picked both of them up at age seven with the support of her mom, a former New York City police officer that wanted her daughter to be proficient in self-defense tactics. Atayan enrolled in the Sanchin Dojo, where classes were not separated by age or gender. It meant that Atayan, who never stood any taller than 5-foot-1, trained alongside adults for the entirety of her childhood. “When I was younger, there’d be people in there that were in their twenties or (older). It was such a wide variety and it was really cool,” Atayan said. Unbeknownst to Atayan, martial arts would help her in lacrosse by teaching emotional control. It’s rare that the average person would ever need to perfectly perform a jujitsu technique, but the inner fortitude required to become a sensei – which she did at age 15, sooner than anyone else in her dojo’s history – translates to every sport. team. She did this every week on a volunteer basis. “It’s not something we ask of anyone. That’s too much to ask of a high school kid who is doing so much, but she’s one of those kids that went above and beyond,” Robinson said. 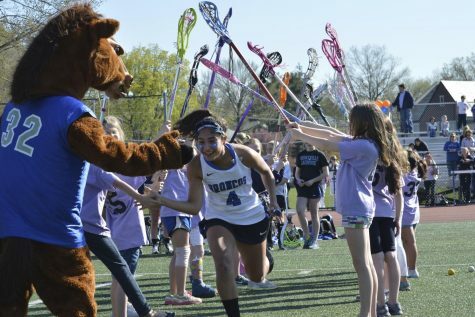 As Atayan moved throughout her high school career, she started looking at “every college on the planet” for lacrosse. There was something about moving back to the Midwest and closer to her family’s Michigan roots that appealed to her. One school stood out from the rest fairly early on. Virginia Atayan didn’t get to see much of her granddaughter’s childhood. By the time Alina was seven, Virginia had already been told that pancreatic cancer would take her life in approximately six months. She refused to let it stop her. Alina remembers how her grandmother flew from Michigan to Disneyland and joined the rest of their family on a vacation after the diagnosis. When there were no more experimental treatments left to try, Virginia stopped chemotherapy. She died in October 2002, two years after doctors told her she had six months to live. A decade later, Atayan was at Marquette’s campus learning about the lacrosse team’s philanthropic cause: fundraising for the Pancreatic Cancer Action Network. The team has raised just shy of $40,000 for research in the five years since Black made it the team philanthropy. 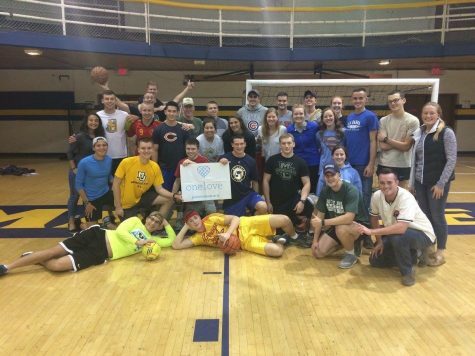 “We spend our whole year fundraising and raising awareness and bringing more attention to the cause,” Fifield said. Atayan immediately engaged in every single fundraising and awareness activity on the team calendar, eventually becoming the philanthropy coordinator. If there was a planning meeting, Atayan would be there no matter what. If there was a raffle, Atayan would be the one wrangling items to put in gift baskets. The other service initiative Atayan spearheaded in college began in high school. On May 3, 2010, University of Virginia lacrosse player Yeardley Love was beaten to death by her ex-boyfriend. Robinson, Love’s cousin, became a leading advocate for One Love, an organization formed in Yeardley’s memory dedicated to relationship violence education. It wasn’t long before Atayan, who was already involved with One Love in high school, started an official branch at Marquette. The next step was the hard part: Scheduling workshops with groups to talk frankly about relationship violence. “It’s hard sometimes to start that kind of conversation and even get people to schedule a workshop like that,” Atayan said. With Atayan’s urging, though, people began to schedule them. Groups ranging from club rugby to ROTC to the Kappa Sigma fraternity all took part in sessions Atayan facilitated. By the time Atayan left the team, the One Love club had grown from one member to 11. Its sessions had reached hundreds of students over the course of four years. Marquette’s coaches and veteran players sensed Atayan’s penchant for leadership early in her career. Although Atayan didn’t get a lot of playing time, the team’s top brass utilized her in other ways, one of which was to put her in situations where she could influence younger players. Teammate Kate Glaros experienced that on one of her first practices as a freshman last year. “Our first day of conditioning, we had a run test and I wasn’t doing very well. One of the other players put Alina next to me to try to motivate me because she would just work so hard. Having her near me and seeing her do that motivated me to work harder and run faster,” Glaros said. 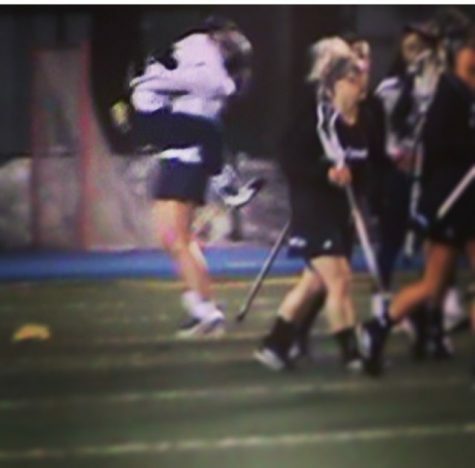 After scoring her only goal, Atayan jumped into the arms of teammate Kenzie Brown. “She’s pretty tall so it looks like I’m a little monkey in her arms,” Atayan joked. “I really believe that she’ll never know how many people she helped,” Robinson added. As unimportant as Atayan’s stat line is to this story, there is a number worth mentioning. In four years, Atayan scored one goal. It came in her freshman year during the final minute of a 14-6 victory over Cincinnati, the first BIG EAST win in Marquette women’s lacrosse history. Teammate Claire Costanza advanced the ball down the left side of the field and set Atayan up right in front of the cage. research on the team’s calendar.